NEW CANAAN, Conn. — Ann Curry of New Canaan has broken her silence on leaving the "Today" show, telling People.com that "it hurt like hell" when she was fired over five years ago. A longer interview with People will hit the newsstands on Friday, but in an online preview, Curry, 61, talks about her exit from the NBC morning show on June 28, 2012. Many speculated at the time that she was fired partially because she had no chemistry with co-anchor Matt Lauer. Lauer, 60, was himself fired from the show in November for alleged sexual misconduct. Curry's new series, "We'll Meet Again," reunites people who have lived through traumatic moments with the person who helped them the most. The trailer gives a sneak peek at the six-part series, which was produced by Blink Films in partnership with Curry’s media venture. The stories range from a Vietnam War baby desperate to find the American father she last saw 40 years ago to the military chaplain who helped a stranger through the trauma of 9/11, from a Japanese-American girl interned in 1942 who never forgot the classmate who helped her during her darkest hours to civil rights workers whose lives were forever changed by the deep relationships they formed in the 1960s South. The series is named for the 1939 British song of the same name made famous during World War II by Vera Lynn, and later recorded by Johnny Cash. 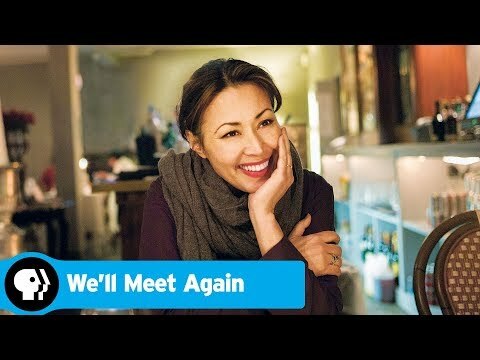 "We'll Meet Again" premieres Tuesday, Jan. 23, at 8 p.m. on PBS. Click here for the official website for "We'll Meet Again." Click here for People magazine's online preview. The magazine will be on newsstands on Friday.